These are not broken capillaries but rather permanently dilated capillaries. They have very thin walls which constantly dilate and constrict. 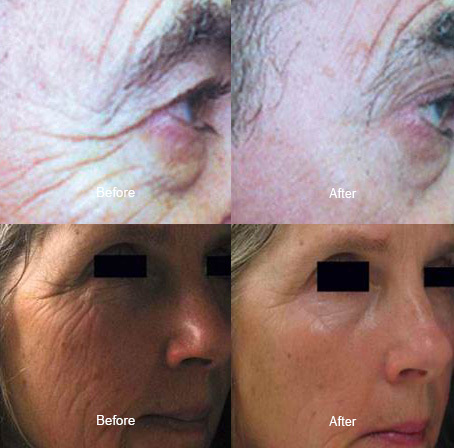 As we age, these vessels lose their elasticity and can become permanently dilated. There are numerous causes including: ageing, hereditary, pregnancy, the rubbing of spectacles, smoking, energetic sports, temperature extremes and harsh weather exposure, hormones and skin fragility. They are commonly seen in a maturing ‘English Rose’ complexion. 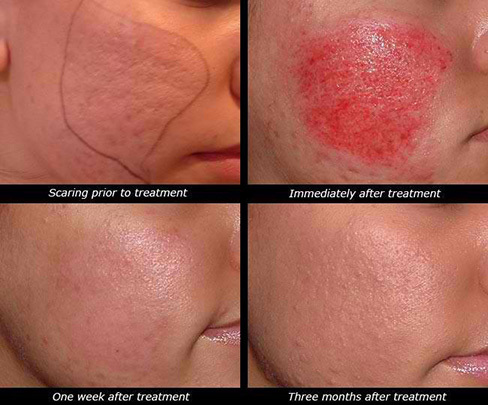 A course of treatments gives excellent, almost immediate results. Individual dilated capillaries are removed in one session. Skin Tags are very common and most frequently found on the neck and face. They often appear with a neck like a mushroom and vary in size from a tiny speck, smaller than a grain of uncooked rice, to the size of a large pea or even larger. They are often found in areas of friction such as the underarm, under the breasts or around the neck where necklaces may irritate. Milia are tiny white hard lumps containing keratin which lie superficially under the surface of the skin and can be easily treated. Their exact cause is unknown although they are often associated with dry skin which can be acidic. Hairs from moles can be treated by those trained in electrolysis treatment. A GP’s written agreement must be obtained before treatment. 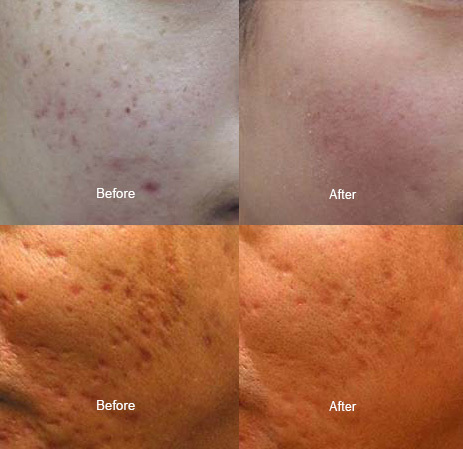 Once treatment has started the mole may reduce in size and colour. Hairs in moles are generally deep terminal hairs generally with a very rich blood supply to them. Repeat treatments, as with electrical epilation are required. These are bright red vascular blemishes which lie just under the surface of the skin. They are dome shaped or slightly raised and are most common on the torso and particularly the midriff back or front. Most people aged over 30 have at least one and they are even more common in men than women. These are quickly and easily removed. There are various types of warts. Most can be easily and successfully treated. Is a common skin condition which develops in adolescence on black skin and is identified by smooth, dome shaped, brown to black papules seen mainly on the cheeks, neck and upper chest. We give a free consultation and treatment costs £50 per 15 minute treatment. Most problems can be treated in a 15 minute appointment. We offer a FREE consultation with Sian to discuss your requirements, we can then give an indication of the number of treatments and time gaps between treatments needed the cost of this comes off the price of your first treatment. During the consultation we will discuss the best course of action, frequency of treatments, prices and check your medical history and assess your suitability to the treatment. Q: How does the Dermapen work? A: The Dermapen induces a wound healing response in the skin to encourage regeneration of tissue. Q: What will my skin look like after treatment? A: Because of the revolutionary micro-needling technology used the skin is less traumatised superficially and hense most people can leave the salon with redness that disappears quickly. By the next day the skin looks plump and glowing. 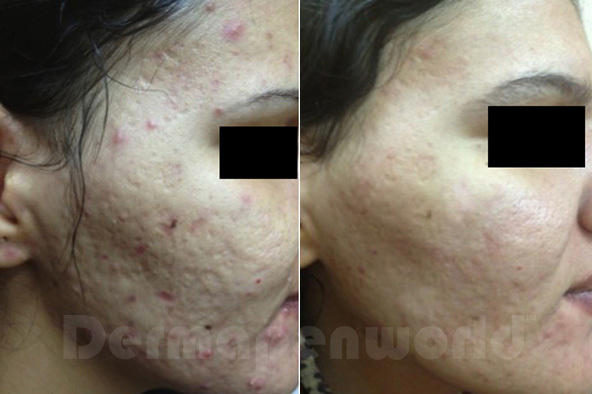 A: That depends on the skin condition we are treating, the consultation will answer all your questions regarding that.